ERA 6 Pin Euro Double Cylinder 35-45mm Brass is rated 4.9 out of 5 by 9. 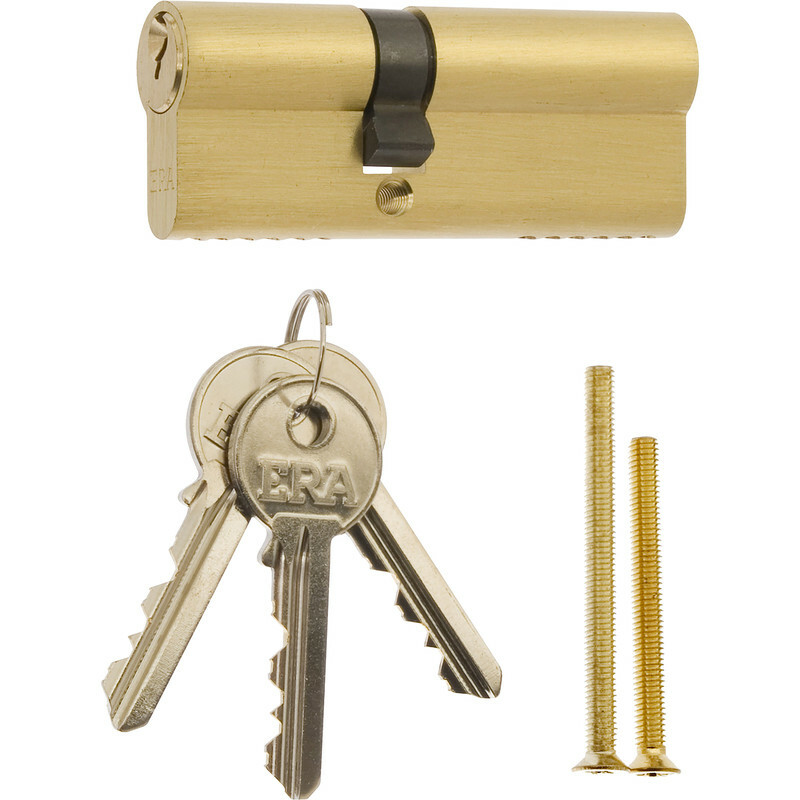 Rated 5 out of 5 by maxdog from good quality and price Cheap to buy but quality manufacturing, this eurolock cylinder and keys are easy to fit and come with new retaining setscrews. Rated 5 out of 5 by Felix197 from Good value Good value, arrived promptly. Rated 5 out of 5 by KimH from Great Price Great price (from Toolstation dearer elsewhere locally). Comes with three keys as well. Good quality too. Rated 5 out of 5 by Neil76 from Great Price Bought to replace an existing cylinder that was jamming. It was a doddle to fit and works a treat. Rated 5 out of 5 by tomtremendous from Easy to fit, smooth as a glove Very easy to fit, found a YouTube tutorial. Works great.